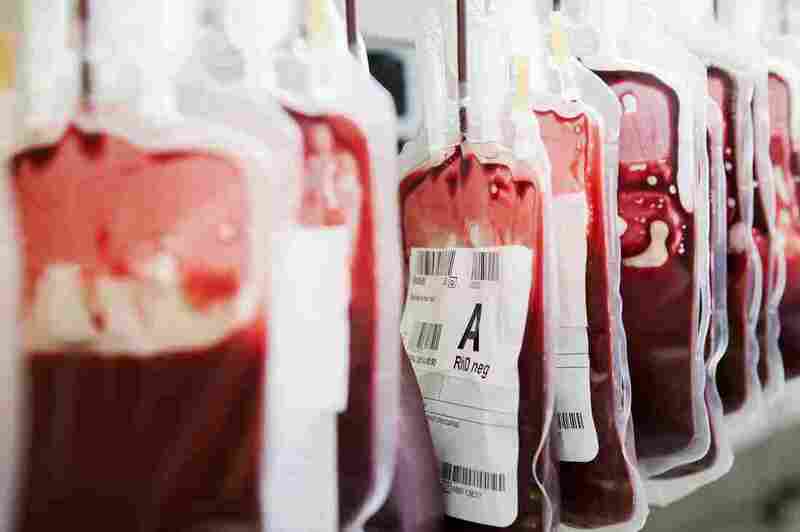 Tranexamic Acid Reduces Maternal Deaths From Bleeding After Childbirth : Goats and Soda An inexpensive drug could dramatically reduce the number of deaths of mothers from bleeding after childbirth in low- and middle-income countries around the world. Postpartum hemorrhage is the leading cause of maternal deaths around the world. Back in the 1960s, a female doctor in Japan created a powerful drug to help mothers who hemorrhage after childbirth. The medicine is inexpensive to make. It's safe to use. And it stops bleeding quickly by helping keep naturally forming blood clots intact. The drug's inventor, Utako Okamoto, hoped that the drug called tranexamic acid would be used to help save moms' lives. Every year about 100,000 women around the world die of blood loss soon after a baby is born. It's the biggest cause of maternal death worldwide. "It was Okamoto's dream to save women," says Haleema Shakur, who directs clinical trials at the London School of Tropical Medicine and Hygiene. "But she couldn't convince doctors to test the drug on postpartum hemorrhaging." And so tranexamic acid has gone largely unused in maternity wards for decades. In the study, women who were diagnosed with heavy bleeding, or postpartum hemorrhage, after a vaginal birth or cesarean section received either the drug or a placebo. About 1.2 percent of women who got tranexamic acid within three hours of a hemorrhage died, compared with 1.7 percent of the women who got the placebo. Side effects weren't a serious problem. The medicine didn't increase the risk of dying of other causes during the procedure, Shakur and her colleagues report in The Lancet journal. The study included 20,000 women, in nearly 200 hospitals, across 21 countries, including rich ones, like the U.K., and poorer ones, like Pakistan and Nigeria. The medicine is inexpensive. It cost about $3 in the U.K., and a quarter of that in Pakistan, for instance. "If you can save a life for approximately $3, then I believe that's worth doing," Shakur says. It's rare to have a new tool for helping women during childbirth, says Felicia Lester, an OB-GYN at the University of California, San Francisco, who also works in Uganda and Kenya. "I think the study is exciting," she says. "I'm usually cautious in saying that. But it looks like tranexamic acid has the potential to save lives." The drug even helped women when doctors used it along with other common medications, such as oxytocin, says Margaret Kruk, a global health researcher at Harvard University. "Tranexamic acid offers an additional benefit above and beyond what is being done for women already," she says. Now, though, the big question is how to make sure this drug is available for women who need it the most — women in the poor, remote areas of the world, where maternal mortality is the highest. "That's, I think, the million dollar question," Kruk says. "We in global health have a number of tools that seem very effective in large clinical trials. But then when it comes time to use them for all women, we see very large gaps in implementation."